I’ve been living in India for a month now, it’s gone very fast! The thing that keeps striking me is that it’s a place in transition – new skyscrapers are going up, companies are working on advanced technology and you end up having conversations with people about ArtificiaI Intelligence (AI) in a bar and what you as a foreigner make of this new India. 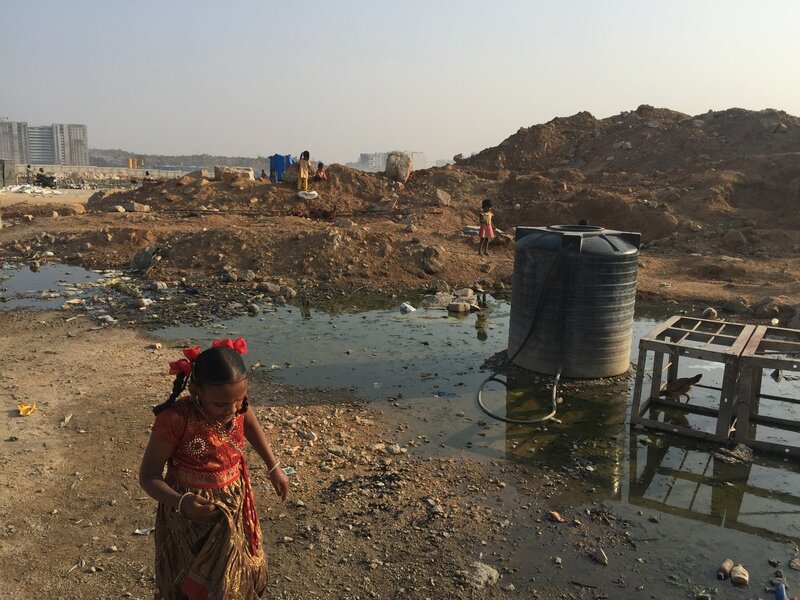 Then you go for a walk and you see a slum with children and dogs playing in landfill in the shadow of Google’s new headquarters being built. The contrast slaps you round the face, and I for one feel a bit uneasy at times. Another thing that’s struck me since I’ve been here is a personal change in me, as distance has handed me new eyes to gain perspective on my life. We all know these voices I think? If not you’re lucky. I think they’re a combination of our upbringing and our culture, “what should I be doing?”, “What would they think?”….. Who are they anyway? We all like to think that we do our own thing and lead our own lives, but when you are living your life surrounded by the more traditional ways of thinking, I think a weird osmosis of destiny occurs, where you find yourself sometimes doing the things that you said you wouldn’t do and being the person you promised yourself that you’d never become. So distance has helped give me some perspective that has helped me to challenge the naysayers in my own mind. In fact, the irony is that, I think I’ve been far more productive than I would have been back home, (we’ve had lots of bookings for the summer and inquiries into being business partners) and I don’t have to look at the weather forecast with the depressed resignation that January and February in the UK brings. As long as I have a laptop and a smart phone and some sort of internet connection I can do 90% of what I was able to do back home and the 10% that I can’t do has forced me to focus on the important things that I have had written down on my to do list for 6 months. Get a new website built, write a blog, redo business plan… The things that when you start a business are essential, but often get put to the bottom of the list, as the guilt of not doing everything in your business pervades your consciousness and forces you in to unproductive superhero-esque action. So, I suggest that from my experience, doing the unexpected can be a very good thing, being creative with your life and how you lead it can be very liberating and you can be enlightened to the endless possibilities of being slightly freer. We often complain about our lot and how we have too many responsibilities but sometimes, we create these responsibilities in order to give us a feeling of being needed. The truth is, these are choices we have made and you can un-shackle and still enable yourself to work on the important things whatever they are to you. Take the leap, perhaps the worst case scenario is only in your mind! We run food trucks with purpose, delivering great food and connecting people in the process. Our community food trucks are available for private hire and we also run local rounds in our communities, we participate in local events and run our own community oven events to bring people together in their local community. Our chefs are all local people who want to connect with their local community. © Copyright 2019 The Community Oven. All rights reserved.